Super Squid Smash is a local multiplayer game for four players. Objective of the game is to smash other squids into the red spikes and be the last squid alive. 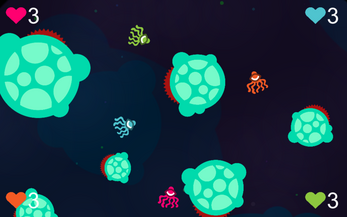 Super Squid Smash was developed during the IGDA Game Jam 2014 in Estonia during the period of 48 hours.